Alaska Air in the skies over Hawaii. Courtesy photo. Alaska Airlines launches new seasonal service today between Kona on the Big Island and Portland, Ore. The new flights are in addition to the airline’s existing service from Portland to Kahului, Maui, and Honolulu. Each week, Alaska Air will depart Portland for Kona at 5:40 p.m. on Mondays, Wednesdays, Fridays, and Saturdays. Those same days, a flight from Kona to Portland will depart the Big Island at 9:25 a.m. The schedule is set through April 9. Flights are available for booking today at alaskaair.com or by calling 1-800-ALASKAAIR (1-800-252-7522). The new flights are operated with Boeing 737-800 aircraft, accommodating 16 passengers in first class and 141 in the main cabin. All flights to Hawaii offer Hawaiian-themed beverage and meal service. Customers traveling to Hawaii are offered complimentary “Hula Blend” coffee, custom designed for Alaska Airlines by Seattle’s Best Coffee, and exotic Hawaiian-themed meals-for-purchase in the main cabin for $6 or $7. Customers in the main cabin also receive complimentary Mauna Loa macadamia nuts and a Mai Tai or passion-orange-guava juice. 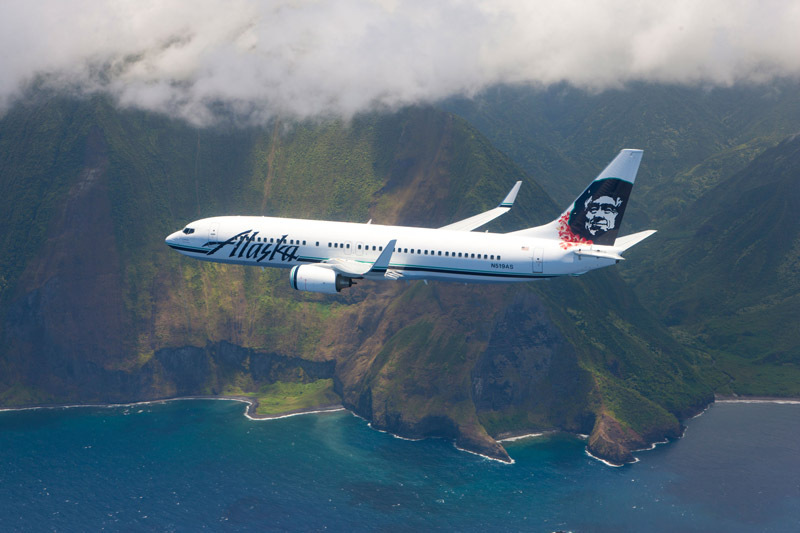 With the new Portland-Kona service, Alaska Airlines offers 101 nonstop flights a week to four islands in Hawaii from Anchorage, Alaska, and six West Coast destinations. Alaska Airlines and Horizon Air together serve more than 90 cities through an expansive network in Alaska, the Lower 48, Hawaii, Canada and Mexico. Alaska Airlines ranked “Highest in Customer Satisfaction Among Traditional Network Carriers” in the J.D. Power and Associates 2008, 2009 and 2010 North America Airline Satisfaction Studies.